FREE INDOR PLUMBING! 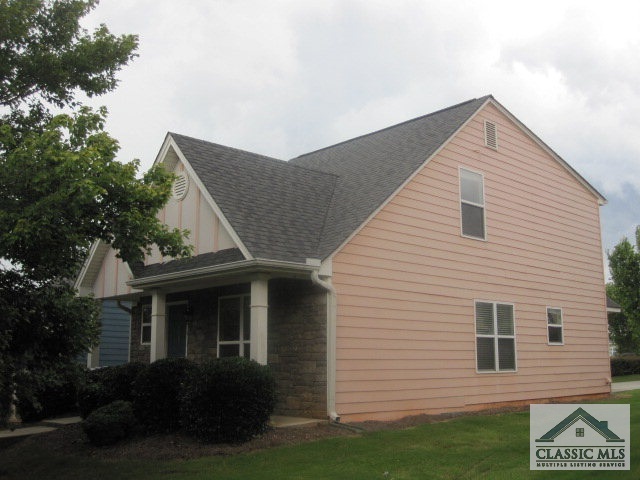 If you're from Auburn or Clemson this townhome offers the ultimate in modern living. Enter the parquet foyer into the Great Room. The gourmet kitchen offers walls of cabinets and acres of counter space. All appliances include refrigerator, dishwasher, microwave plus washer and dryer. Bedrooms are oversized and served by individual full bathrooms. Extra parking for tractor. Walk out the back door into the greenspace, barb-b-que area and the Cool Pool that is coming soon. The owner offers a 1 YR HB210 Buyer protection warranty for added peace of mind. Leased for $995/month until July 30, 2016. Quick possession. Just minutes from the main campus of UGA! Bridge Water is a subdivision within the city of Athens, Georgia. There are currently 0 Homes for Sale within Bridge Water, with asking prices ranging from $0 to $0. The average list price per square foot of the available inventory in Bridge Water is $0, which is the Athens average of $227. The Average Sales price of all sold real estate in this subdivision for the past year is $137,500. Recent comparable homes have been selling for 96.26% of their asking price. Waterfront homes represent of the available Bridge Water inventory. The population of Athens, according to the 2010 Census, is 115,452. The total number of households in the zip code of Bridge Water is 8,250, with an average household size for of 2.51 people. The total number of renter households within the zip code of 30601 is 5,191, which means that 37.08% of households in this zipcode are owner occupant households. LISTING PROVIDED COURTESY OF Wayne, Impact Realty - Melton & Assoc., Inc.
221 KATYDID DRIVE, Athens GA 30601 is a Home, with 3 bedrooms which is recently sold, it has 1,309 sqft, 0.0 - 0.25 sized lot, and None parking. A comparable Other, has bedrooms and 0 baths, it was built in and is located at and for sale by its owner at $ 0. This home is located in the city of , in zip code , this County Other, it is in the Subdivision, and Boulevard are nearby neighborhoods.